Voting is not exactly the most popular citizen duty Americans like to-do and when asking around, you may be hard-pressed proving otherwise. Of course it cannot be negated that the last president to be elected in the United States was nothing short of historic, the first of African-American heritage elected to the highest office and turning out a massive amount of new voters. 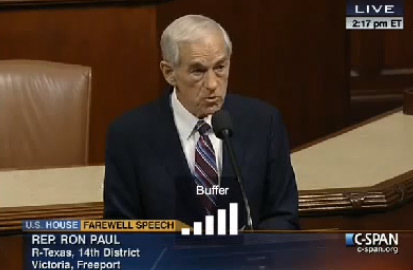 With that said, that was eight years ago and it is now 2016. What do voters think now? One thing is for certain, the two major parties should be worried, because voters have caught onto their game and are turning on them. 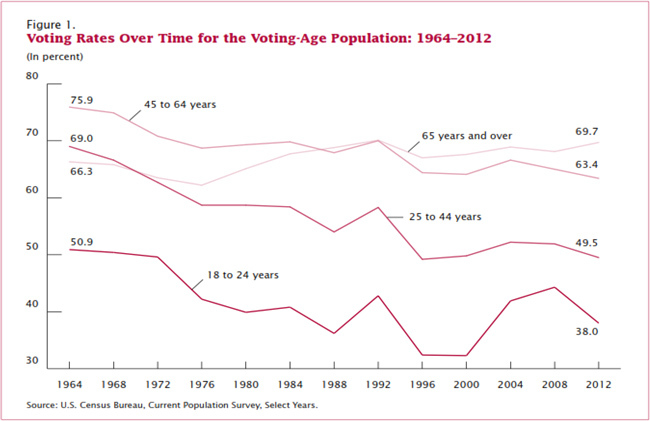 Looking at polling, the average turnout for presidential elections remains quite consistent over the last two decades. 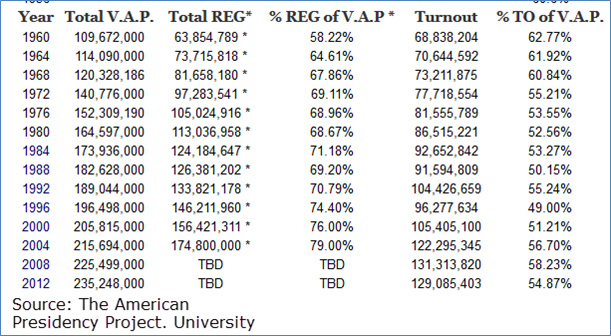 While it is great to see consistent voter turnout, one may ask, why would voter turnout remain relatively the same if the general population is increasing? Thinking about it deeper, if voting age population (VAP) is gradually increasing, but this is not reflected in voter turnout, could this mean that voters frequently resent the major parties? One thing is for certain: the two major parties should be worried; voters have caught onto their game. Taking a look at the current presidential cycle is so very telling of the state of the voters mind. What does it say when populist consensus means “Democrats” prefer the only independent-socialist in Bernie Sanders and “Republicans” prefer an unknown quantity in an over-the-top Donald Trump for this presidential cycle? It means that voters are so unimpressed with our lawmakers and party establishments; they are willing to fundamentally change the entire party, even if it has negative results on the incumbents. Voters realize that in order to initiate “real change”; they must elect outsider candidates or risk falling into the never-ending spin-cycle Democrats and Republicans sell to voters. Voters are ready to kick their parties to the curb and vote for whomever they feel like, regardless of ‘what is best for the party’. What do we think Donald Trump supporters are doing by voting for him as their candidate for office? Some may think it is a joke, but others see it as symbolic, similar to the Bernie Sanders movement. In a nutshell, voters don’t care about voting for the parties any longer, they care about changing the parties to reflect their attitudes and beliefs. The major party establishment should be worried because their seats are not safe for long. What will the angry Bernie Sanders voters do when they figure out the party leadership at the DNC (Democratic National Convention) has always thought his campaign and voters are a joke and expendable? Will these voters stay home or would they be willing to spite-vote to show their dissatisfaction? Many of the Sanders voters are brand-new voters, similar to Trump supporters, just introduced to voting after being inspired by the respective campaigns. They will be turned off by the idea that a candidate running for the ‘right’ reasons has no chance to win due to status-quo party politics as usual. The major parties better be worried because they are in for a shakeup. The rhetoric major parties push is that their agenda is best for the people and that they know what is best. The major parties tell their dissenting-base of voters over and over, ‘this candidate has no chance to win, give up and follow us’. Well politicians and political elites, we have caught onto your game and are planning a respectful, but ruthless takeover of the Democratic and Republican parties. This is why the major parties should be worried as the next class of millennial activists are now speaking and demanding their voices be heard. The major parties should be worried as the party structures will be permanently re-aligned in order to allow for growth and real changes the current major party leaders could never allow. Let your party establishment know they should be worried, because voters are pissed off! Please visit our sponsors to help support this site. Thank you! Using evidence from Feed and at least one article assigned in class, compare and/or contrast Titus’ society with our own society, noting whether the similarities or differences between our society and Titus’ society primarily indicate something negative or positive about each one. There are many stories and novels available to readers that capture our imagination, spark creative ideas and lead us to think more critically about the world and people around us. 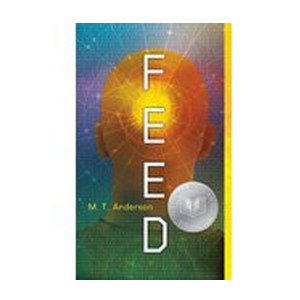 One such story that sparked some interesting thoughts for me can be found in the fictional novel “Feed” written by Matthew T. Anderson. The main character is named Titus and the book follows him and his friends living their lives in a future world where it is considered standard practice to have a feed device implanted into the body. The feed allows its users to access and receive virtually any kind of media or entertainment, communicate without speaking directly to each other, instantly lookup just about anything they can dream of and even know when their parents are sleeping. With that said, there are many issues and themes throughout the book that can be related back to today’s popular culture. In comparing our society to that found in the Feed we start to see similarities to our very own society in the United States. The story of feed shows how societies overuse of technology may harm, suppress, or stop all-together the development of unique individual ideas or thoughts and even the human element itself. One consequence of overusing technology is that it may pressure others into abandoning their own convictions in favor of the social majority consensus. There are clear instances of pressure for those to confirm to ideal “social norms” and this is made apparent even for Violets Dad, whom initially rejected the entire idea of the Feed technology for himself and family; being he was a staunch believer that the Feed was not needed and they could get by just as well without it. This was until he was denied a lucrative job after company associates discovered he himself did not have a feed, which “They found this funny. Risible. That a man would not have a feed.” (Anderson, p. 288). At that moment he had a realization that his daughter, Violet, would require the feed in order to be successful in the world. This being only after his newfound thoughts after meeting with said associates. With everyone around him having the feed this put social pressure on him, eventually leading him submit to the social norms and bypass his own belief and conviction that the feed was not a necessary technology. Keep in mind that Violets Dad himself gets a feed device, albeit an old school one that was put on the back. This illustrates how the feed becomes a negative and hinders development of the individual thought due to being socially pressured to adopt a technology. 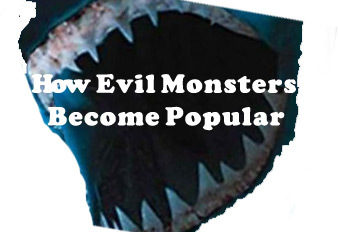 We can see similar instances in our own society in the United Sates where social pressures are being amplified by technology, such as social media sites that may lead others to submit to the popular or majority social consensus. Take for example being thin in America appears to be the popular thinking to view how attractive a woman is. Social pressures to be thin can put stress on young adults as they mature and are well-documented, such as eating disorders in teenagers in the US (National Center for Education Statistics, 2012). The feed technology not only pressures people in Titus’s society into abandoning their own unique beliefs, but also affects their self-esteem. The feed is similar to our society when looking at social media sites and its very real impact/influence on the self-esteem of individuals. Paraphrasing from research findings from a Penn State study they note many people in our society with lower self-esteem “tend to be much more concerned with what others post”, while others with greater self-esteem would spend time adding and highlighting information on their profile themselves” (Swayne). In our society, as many youth grow up constantly connected to social media sites and some since birth, it is understandable how social sites could affect self-esteem over time. As feed broadcasts the constant messaging to its user base this ultimately affects how people view themselves compared to their peers. This is highlighted when Titus is recalling Violet mentioning how “she had watched all the shows about how other people live normally, and she really wanted to live like the rest of us.” (Anderson, p. 107). Violet did not have the feed installed until the age of seven years old, which is considered very late. Due to the delayed install her brain was not wired like others and likewise she did not think like others that had a standard installation. This causes her to be bit of an outsider compared to her peers who had feeds since birth. Her self-esteem is clearly affected by this as she wishes she could live like others do, instead. Another example of how the feed affects self-esteem is after Titus meets Violet and they begin to date. Titus and Violet get into a somewhat intense dialogue and much of the information Violet expelled was completely over the head of Titus with he himself thinking “… we both knew I was stupid, and then I looked away” (Anderson, pp. 113-114). Titus’s self-esteem is hurt due to Violet speaking intelligently and having a broad array of thoughts; significantly more than his feed technology could generate. This furthers the idea that the overuse of technology has consequences that stifle development of unique and individual thoughts and the human element itself. The overuse of technology shows its negative impacts in the educational system in both the feed and our own society. Citing a recent NAEP national study they found that only 24% of 12th graders perform at the proficient level in writing; in this case “[The] Proficient level represents solid academic performance for each grade assessed. Students performing at this level have clearly demonstrated the ability to accomplish the communicative purpose of their writing (National Center for Education Statistics, 2012)”. To think the United States is a first world country, yet only 24% of graduating seniors from High School are considered clearly able to communicate their writing at a proficient level. Perhaps the overuse of a certain type of technology called digital phones coupled with social media sites is one issue showing how the overuses of technology can degrade the educational experience. As cell phone and social media sites become more prevalent in society this leads to unnecessary distraction, thus degrading the quality of the student’s education at their institutions. According to Adam Gazzaley, Professor of Neurology, Physiology and Psychiatry at University of California, San Francisco, “Everyone suffers some deficit in performance when they’re exposed to irrelevant information, even if they’re aware they should avoid it and are trying to do so,” (Vox.com, 2015). In the society of feed, most people do not know how to write properly and instead rely on their feeds to communicate with each other in unspoken words. In Titus’s society the technology of handwriting is considered ancient and frankly obsolete; same can be argued for dialogue and speech. Early on in the story Titus is hanging out with Violet and asks her if she writes “With a pen?” and is “…completely in awe” (Anderson, pp. 65-66) of Violets ability. This highlights the fact writing is rare task for Titus, even though he attends School™, which is run by corporations. The negative impacts to education due to overuse of technology do not stop at handwriting in the Feed, it also affects the dialogue and discourse in Titus’s society. One character in the story showing this is named Marty. Marty barely speaks words in the entire book and has to purchase “speech tattoos”, which enables him to automatically say a phrase each time he was speaking. (Anderson, p. 278). In an essay written in 2008 by Nicholas Carr he notes “When the Net absorbs a medium, that medium is re-created in the Net’s image”. This perfectly describes the scenario society finds itself in the Feed or even Social Media Sites of our own. When exploring our societies through a macro level we see how the feed correlates back to our society in many ways. The paper touched on how indulging too much into technology negatively impacts educational systems, personal self-esteem and our ability to stick to our own convictions or beliefs. There is so much more to explore in this book and I feel as if I could provide 1000 more words to expand on the topic of how our society compares to the feed. I have already recommended this book to a handful of my friends hinting at them it has quite a bit in common with what you see in today’s world. May the feed be with you! Anderson, M. T. (2002). Feed. Berryville: Candlewick Press. Carr, N. (2008). 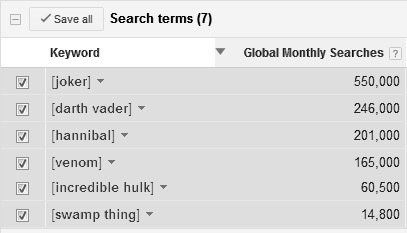 Is Google Making Us Stoopid? The Atlantic. National Center for Education Statistics. (2012). The Nation’s Report Card: Writing 2011. Washington, D.C.: Institute of Education Sciences, U.S. Deptartment of Education. For the poem selected, make a claim about how the LAST image or idea (the “ending”) is related to the meaning of the rest of the poem. Furthermore, consider how the formal elements of the poem help convey that meaning and attitude. The use of my outside sources in this paper ended up with me losing some points on this assignment. The content was solid according to the teacher, however I must have not been clear on the use of outside sources when I turned the paper in. 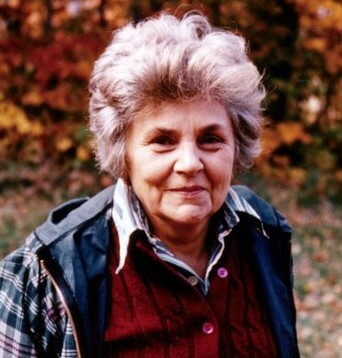 Overall, the poem “One Art” by Elizabeth Bishop is a unique look at loss and how it effects us. What are the first thoughts that come into the mind when hearing the word “Loss”? Losing is not a science or skill and some would argue that life is built to lose. A great way to help answer and focus in on some of these questions would be to read “One Art” by Elizabeth Bishop. Bishop, a Poet Laureate from 1949-1950 and a Pulitzer Prize winner in 1956 (PoemHunter) was very articulate and passionate in her writings. The poem “One Art” focuses on the art of losing and how to interpret loss. The last ideas given by Bishop coincide with the rest of the writings meanings, those including acceptance, compassion, realistic expectations, participation, and realizing the potential for positive growth. Through her writing, Bishop exhibits the attributes of loss one must be aware of in order to triumph over it. In the last stanza the author wraps up the poem with a moment of compassionate thought during a loss, as she explains, “Even losing you (the joking voice, a gesture I love)” (16). Selecting her words carefully, “Love” is used only once in the poem, showing Bishops compassion and the words “Even losing you” mark the important tone of acceptance in the poem. These lines are one of the most direct references in the poem to a painful loss for Bishop. In addition to the latter, Bishop opens the poem with one line that will be seen throughout the poem, tellingly, “The art of losing isn’t hard to master” (1). This phrase or similar to that was repeated in four of six stanzas in the writing. The repetition she chooses in her stanzas gives a reader the sense of Bishop actually encouraging those to accept loss, given that, loss “. . . isn’t hard to master” (1). Loss is something that is repeated continuously throughout life as well as in Bishops poem. With the repetition of loss in “One Art”, Bishop provides opportunities for the reader to interpret it, one of those being the idea that a loss may at times appear more destructive in nature than they actually are. Even with all the losses that life can bring, many times those losses have the appearance of something much worse than the reality; this is why realistic expectations are important for Bishop in defeating loss. These realistic expectations help guide her through unclear situations. Bishop shows the reader that losses are not always an actual disaster, “. . . though it may look like (Write it! )” (19). Bishop tells the reader to “Write it”, meaning to write a select losing scenario, like a disaster for example. Could one write a disaster or losing scenario with an exaggerated outcome than the reality of it? The short answer is – yes. Just in the past decade we had the scare of the Y2K crisis. This took place in the year of 2000 and there were many articles, interviews, and discussions of it. During this time it was safe to say that many were preparing for a very different world. As we know for a fact today in 2012, all writing and theories about a doomsday year of 2000 proved to be false. A loss on paper can always be scarier than the reality of it. A reader can take away from Bishops poem that “. . . though it may look like (Write it! )” (19) a seemingly guaranteed loss or disaster may in fact be exactly the opposite. The fear of loss can certainly bring people to act differently and affect their actions. Rather than fearing, the embracement of loss can be a good trait to learn and keep. Remembering that loss can also turn into growth, there is potential and opportunity for something entirely new and positive to come into play. Embracing loss can be a wonderful thing when you accept it, being that not all loss will lead to disaster and has potential to grow into something healthy and bountiful once again. Bishop expands on this idea of potential for growth out of loss and appears to assist Bishop to get over loss itself. Further she explains to the reader the numerous losses she has taken, such as vast realms of property once owned and “. . . two rivers, a continent” (14), “I miss them, but it wasn’t a disaster” (15). Digging for more answers, we can find abundant clues on times when a loss isn’t actually a complete disaster. Take the eruption on May of 1980 of Mt. St Helens in Washington State. The instant of the eruption there was instantaneous death and destruction of all natural and man-made structures near the blast zone. Effecting approximately 230-square miles, many areas that received the brunt of the blast looked much like a wasteland. Some of the first plant life returned to the affected area of Mt. St Helens years later around 1984, while Elk were spotted just a few weeks after initial blast. In addition to the birds, gophers, plant life and other wild life returning to the area, the blast zone is becoming the breeding ground for new life and abundance. (Mount St. Helens, Washington Life Returns to Mount St. Helens). It is understandable for one to miss the loss of what Mt. St Helens used to be, pre 1980 eruption, “. . .but it wasn’t a disaster” (15). From this example, it becomes clearer for a reader that in order to triumph over loss; there must also be participation in loss. 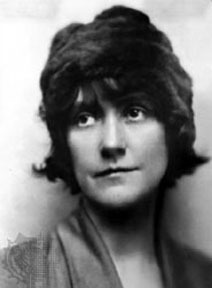 Bishop clearly encourages the reader’s actual participation in loss from her writing, harping back on that phrase many have or will hear sometime in their lives, “Practice Makes Perfect”. With more practice, one is trained and disciplined, therefore could handle loss more efficiently. The encouragement of participation in loss is readily apparent in the third stanza of the poem, with the idea being that by promoting the acceptance of loss, one may have an easier time triumphing over it. The author reminds the reader about daily loss, which would be considered normal, such as forgetting “. . . places, and names” (8). Bishop further directs the reader to, “practice losing farther, losing faster” (7). Living daily life is the practice for learning to lose quickly and/or more efficiently. At times we may forget what it is or who we are losing and why, due to the “practice” of losing. This is relatable to young individuals, during the first decade or two of life, everything seems new and exciting, but as they age, they lose interest and excitement on aspects that once would seem irresistible. From commonality and repetition, this kind of loss is no disaster for one’s life, as age does bring its own new experiences. This practice of learning to lose is achieved over time and is something everyone must accept sooner or later. Bishop paints a picture clearer than most may care to think about loss. She shows through her writing that in order to triumph over loss, one must learn the attributes of acceptance, compassion, participation, realistic expectations, and realizing the potential for positive growth. She reminds us through the writing that the art of losing doesn’t mean disaster. There is a positive message made out of loss, even with all of the loss detailed in the writing. Next time you are dealing with a loss, positive or negative, remember it most likely won’t be a disaster and could very well be a learning lesson. What have you lost today? “PoemHunter.” n.d. Biography of Elizabeth Bishop. Web. 08 Oct 2012. “Mount St. Helens, Washington Life Returns to Mount St. Helens.” 30 Sept 2004. USGS Cascades Volcano Observatory (CVO). Web. 08 Oct 2012. Tomajczyk , Stephen F. 101 Ways to Survive the Y2K Crisis. St. Martin’s Griffin, 1999. Web. You can get a bank account with bad credit history that has all the features of a “normal” bank account. Bank accounts offer a secure place to park your money for many people. These types of bank accounts offer debit cards, savings accounts, direct deposit, bill pay, loans, and more. Since RecessionJuice.com was founded in Washington State we can provide some information to help in the search for businesses that offer bank accounts or replace the role of bank accounts similarly. All information here is applicable to many states, so do not be discouraged if you do not recognized the business names mentioned. Check cashing and short-term pay-day lenders will often have some type of prepaid/re-loadable card that can get your debit/credit card needs accomplished. Additional advantages you will get by obtaining a bank account with bad credit history, is the fact of safely and securely storing money. Interest will also be earned on the savings accounts. If choosing a card system with a savings account try to resist moving your money around too much, this just encourages saving. Before signing up with a business like Moneytree, make sure that their card service offers a savings account. The savings account will go a long way in retaining funds so you may be able to pay some of the bills harming your credit. Another business that will help you in your solution to a bank account is WalMart. WalMart will cash government, payroll, or tax checks for only $3 on checks up to $1000 and $6 on checks up to $5,000. In this area, WalMart dominates Moneytree. However, be warned that if you have not cashed a check at a WalMart before, your check may be declined. When attempting to cash a check for the first time, do not cash a check over $500. If your check is over this amount, it will likely be declined. Of course, there is no harm in still trying. Let us know if you experience a different result. Never underestimate the tactic of disputing information on your credit report as a way of potentially getting information removed and deleted from your credit record, thus improving your score and ability to obtain credit. A decent all around credit report that should be reliable is Equifax’s Complete Report. After reviewing the information obtained here, you should be able to get an idea of what bills you may not owe anymore. Any information that you know is false or incorrect should be disputed. Be careful when disputing information, you do not want to awaken an old debt that may be past the statute of limitations for your state; doing so would re-start the time limit for a debt agency to sue. If you get your credit score to a reasonable level you should also think about a Secured Credit Card as a means to establish good credit. Make sure they will report to the credit bureaus monthly – this will help your credit. 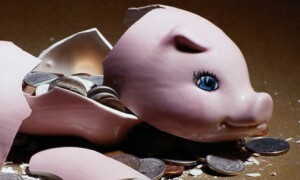 To get a bank account the best way out is to pay your bills that you honestly remember owing. If you have the means – you should pay your bills. Everyone at times will be financially unable to commit. Look up your states statute of limitations, which vary state by state. These limitations spell out the time duration, in which someone may attempt to collect a debt. The financial institution that claims you owe them only has a set amount of time to actually collect or get you to admit you truly “owe” them that debt. After this limit, you may request removal of these marks on your credit report, which will help your credit woes. In some cases, it could be better to simply not pay. Analysis essay of, “The Mother” by Gwendolyn Brooks. This paper focuses on the “dramatic situation” and how the speakers attitude about that situation changes throughout the poem. Additionally the essay considers how the formal elements of the poem help convey that meaning and attitude. When thinking about personal experiences, “The Mother” by Gwendolyn Brooks touches on the often emotional topic of abortion. This poem was produced decades ago, yet still remains relevant to this day. Accepting abortion and the outcome can indeed be a challenging task for many, while others adapt to it without much of a problem. 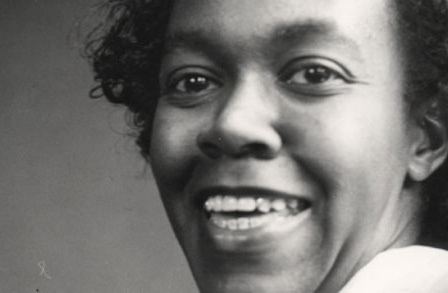 Gwendolyn Brooks writing allows us to take a look at the mothers view point of abortion and how a mother responds to her unique situation. Throughout the poem the speaker shows signs of grief concerning the topic of abortion and its outcomes by presenting to us her point of view, memories, love, subtle triggers, and confusion. From the first stanza of the poem, the speaker provides us a quick snapshot of her feelings about the abortion. The first stanza is set in a second person point of view, with much of it explaining how her children will never realize certain fulfillments in life. Reading the second stanza in the poem, there is a sudden change to a first person point of view, where the speaker references herself multiple times. From this section in the reading, it becomes apparent this is much more of a personal matter to the narrator. In the beginning of the poem the speaker shows a mother unable to forget the dramatic events, which have trapped her emotionally. We can see an example of the narrator facing more than one painful memory of abortion in the very first line, “Abortions will not let you forget”; followed by a mention in the first line of the second stanza, “…voices of my dim killed children”. Both the words “abortions” and “children” are given plural reference, which can be interpreted to mean more than one abortion is being spoken of in the writing. The memories of a mother dealing with the hardship of one abortion is hard enough, while additional abortions just adds to the discomfort of a grieving mother. What about the relationship between the narrator and her unborn children? Does she actually love them? Not having a loved one around can dramatically change a person or entire family. Losing more than one loved one only compounds the emotional impacts of grieving. We can take a present day example from military members, who are away from their families for extended periods, causing both anxiety and grief. If the mother really loves her children, it is understandable why she may grieve over them. This notion is conveyed in the second to last line of the poem when the speaker says, “Believe me, I loved you all”. This line confirms the speakers love for her would-be children. Grief and love may go hand in hand together, especially when the love is true and viable. Most families and individuals agree separation from a loved one, can most certainly set off processes of grieving. Expressions and signs of grief vary by the individual and the unique circumstance. At times, something very subtle yet so simple may set off the emotional response of grief. The speaker tells the audience that as a mother she would never see the opportunity to, “buy with a sweet,” (line 6) her children. This references encouraging your child to comply with your wishes, with the commonly used treat or snack. These simple triggers show just one of the many memories she will never find due to the outcome of her abortions. Other than the very subtle triggers of grief, mixed emotions can play a major part in a grieving soul. “Since anyhow you are dead. But that too, I am afraid,” (29-30). The reader can also see 3 ideas given in the four lines. Digging into the meaning of the lines we see she believed the aborted children to be dead; or perhaps or potentially, never created; followed by confirming all of the aforementioned ideas to be discouraging and scary to believe. With a mix of both confusion and denial, the narrator shows disagreement with herself about the ideas and thoughts she is facing. Confusion is a natural occurrence, especially for a grieving mother, who has gone through more than one abortion. While reading through the entirety of the poem, the narrator provides the reader clear signs of grief via confusion, subtle triggers, love, memories, and the point of view of a mother. The speaker confirms for us the love she has for her dead children as well as the painful memories, which expose themselves during the process of grief. Reading the poem also reveals the fact this is not the only abortion the speaker is writing of, proving to be a major contributor to the grieving in the poem. The poem is a great read for any first timer or anyone experienced with poetry. With a variety of topics throughout the poem, one may find that there is more than just grief, which shows itself in the poem. Other than abortion, one must ask what other major attributes play a part in this amazing poem by Brooks? Brooks, Gwendolyn. “The Mother”. Poetry Archive. New Directions, 2002. Web. 12 Jan 2012.